I have a 2007 Chevy Cobalt with a P0340 camshaft sensor circuit, car a little slow cranking sometimes but runs good. I have a 2007 Chevy Cobalt with a P0340 camshaft sensor circuit, car a little slow cranking sometimes but runs good. Replaced the cam sensor but still getting the light. Welcome to JustAnswer. I'm reviewing your question now, and will post back with your reply ASAP. Sorry to hear you are having a frustrating time with the P0340 code . Could you tell me which engine you have or get me your Vin number . Good thank you, ***** ***** a few minutes just going to check for any possible TSB's for this concern . You said runs good ,even have a good idle ? I take it the B008-71 should be B0081-71 .please confirm . The B code is for your SRS system (Airbags). Thee P0340 code could be any of the following . incorrect sensor fitted or aftermarket . Do you have diagnostic tool to check this or will you be using a repair shop. it runs good and a smooth idle. It just seems to have to crank over a few more times to start up. DTC B0081 71 : Passenger Presence System Invalid Serial Data Received. was any work done on the aiirbag system or at anytime in the past a accident . Remember what make it was the sensor . I am not sure, I just bought it with a bad clutch an just got it running. okay as a slapping chain may cause you the code to pop back .a good test drive will have to be done to see if the typical P0014 or P0016 code pops up . Do the test then please get back to me . Need further assistance with this issue then please get back to me if needed . After rating positive you can get back to me anytime and the question will stay open for us with no added cost . Repair no rest possible the fault has to be rectified . In most cases it is the sensor in the passengers seat ,an expensive repair . but first the connections under the passengers seat should be checked tested and cleaned in case of a possible bad connection in the plugs . I am not getting any RPM signal on my CMP sensor read out on my scan tool, CKP sensor is registering RPM. When I unplug the cam sensor there is no change in engine idle. The Camshaft Position (CMP) Sensor Reluctor Wheel is fine. Can you send me the schematic to this and what voltage or signal I should be getting at the CMP. 1. Ignition OFF, disconnect the appropriate CMP sensor wire harness connector. 2. Test for less than 1 ohm of resistance between the low reference circuit terminal B and ground. ^ If greater than the specified value, test the low reference circuit for an open/high resistance. If the circuit tests normal, replace the ECM. 3. Ignition ON, test for 4.8-5.2 volts between the 5-volt reference circuit terminal A and ground. ^ If less than the specified range, test the 5-volt reference circuit for an open/high resistance or short to ground. If the circuit tests normal, replace the ECM. ^ If greater than the specified range, test the 5-volt reference circuit for a short to voltage. If the circuit tests normal, replace the ECM. 4. Ignition ON, test for 4.8-5.2 volts between the signal circuit terminal C and ground. ^ If less than the specified range, test the signal circuit for an open/high resistance or short to ground. If the circuit tests normal, replace the ECM. ^ If greater than the specified range, test the signal circuit for a short to voltage. If the circuit tests normal, replace the ECM. 5. Ignition OFF, connect a fused jumper wire to the CMP signal circuit terminal C.
6. Ignition ON, momentarily touch the other end of the fused jumper wire to the battery negative post. The CMP active counter parameter on the scan tool should increment. ^ If the CMP active counter increments, replace the CMP sensor. ^ If the CMP active counter does not increment, replace the ECM. Important: You must perform the Circuit/System Testing before proceeding with Component Testing. 1. Inspect the CMP sensor for correct installation. 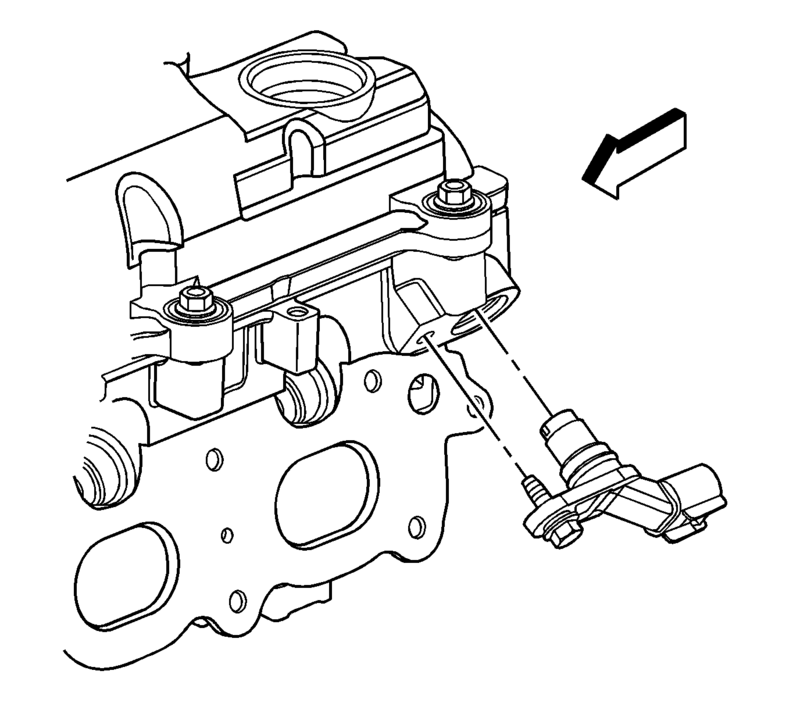 Remove the CMP sensor from the engine and inspect the sensor and the O-ring for damage. ^ If the sensor is loose, incorrectly installed, or damaged, repair or replace the CMP sensor. 2. Connect the CMP sensor connector to the CMP sensor. Turn ON the ignition, with the engine OFF. 3. Ignition ON, and engine OFF. Observe the CMP Active Counter parameter on the scan tool. Pass a steel object by the tip of the sensor repeatedly. The CMP Active Counter parameter should increment. ^ If the parameter does not increment, replace the CMP sensor. This schematic is showing 2 CPMP's, one CMP intake and the other just CMP. I found the location of the intake one, but where is the other one located?? 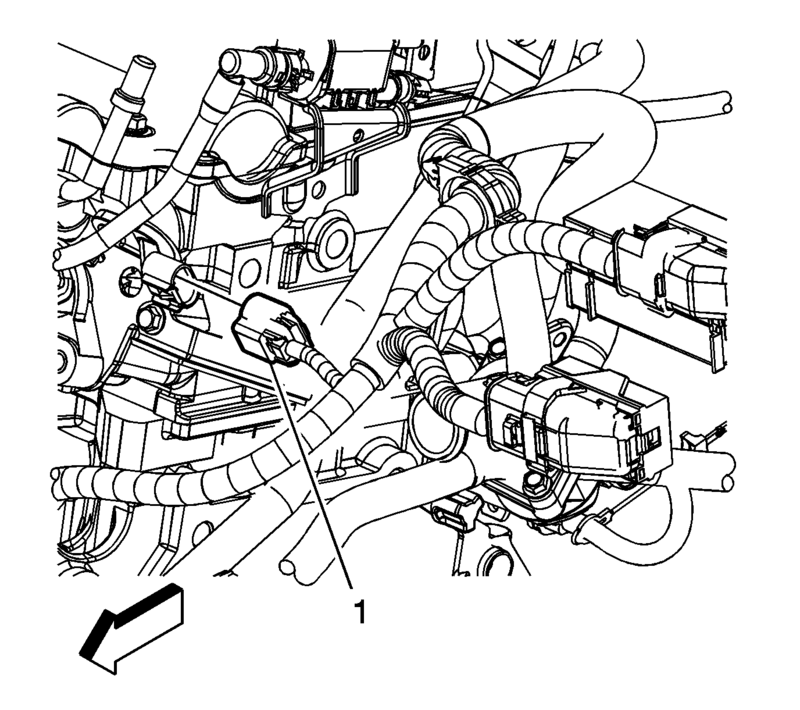 2007 mustang gt: auto zone..cam shaft sensor..camshaft sensor located?